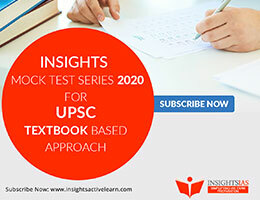 Dear Friends, we, Purna Borah (Rank 149, CSE 2017) and Ashima Mittal(Rank 12, CSE 2017) are writing this article for you to share our experiences of our UPSC prelims preparation and hope that it adds to your confidence and strategy and helps you to score more. 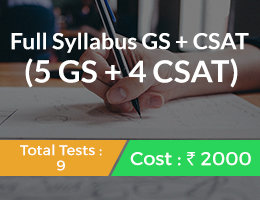 We both have cleared prelims in all our attempts and would like to share the strategy which worked for us. You already know a lot about this exam, this article is only an effort to brush up some basic dos and don’ts of the Prelims. At this stage when prelims is just one day away, there is not much one can change in terms of preparation and reading but what you can really change is your attitude and approach which will make a great difference on the D day. First, primary thing that will help you to sail through is the confidence in your ability to clear this exam and also faith on your preparation and whatever you have studied. You have to believe that whatever you could do in the limited time possible, you have done it in the best possible manner. This may or may not be true. But you can’t change it at this point and it may not even matter in the exam. Therefore, irrespective of anything, the best strategy is to trust your preparation. Secondly, another important thing is to stay cool just before and during the exam. This will help you in avoiding silly mistakes and correctly attempting whatever you know. 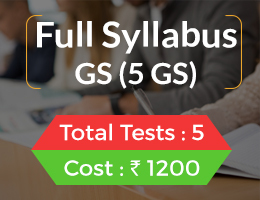 In prelims, out of 100 questions roughly 50 to 60 will be easy ones and it is very important to attempt these questions with utmost patience and accuracy. Haste and anxiety can only spoil attempting those easy questions perfectly. Some level of anxiety is normal but it should not overpower your presence of mind, reasoning and logic. Third, In order to avoid rush at the last minute, it is important for you to make sure that you are carrying admit card, identity card, black pen, pencil, eraser etc. All of these should be packed at least one day before exam. So do it today and now. Also it is important to have a watch of your own as keeping track of time is very important; you can’t clearly say if the examination hall has wall clock at required orientation. Fourth, areas like Indian Polity is a strong area for most of the candidates. However, one should not forget that overconfidence may spoil this part as even apparently simple questions may be tricky. Hence it is important to read and re-read the questions and all the options properly. For example, ‘Head of the state’ and ‘Head of the Government’ are two different things which should not be confused with. So be careful with such questions. Ensure that you don’t make mistakes with CORRECT and INCORRECT in the question statements. For avoiding such errors, please circle the keywordswhile reading the question. Also, make sure that you read the question at least twice. Fifth, if there is any particular topic which is making you nervous and taking your confidence down then quickly go through the summary of that topic through google or short notes, It will definitely make you feel better and more confident. Some people say that one should not read at the last minute. However, we feel that it is better to read till last day if it adds to your confidence. Also, things revised in the end are fresh in memory. Sixth, sometimes after reading the question, you will feel that you haven’t read at all about the given topic. Instinctively, you will feel like skipping that question without even reading the options. Here, you might be able to solve the question using existing knowledge after relating with the options. Thus, always read the question along with options at least once and rely on your knowledge. Every aspirant has a different way of attempting the prelims exam. Here we discuss one of the strategy that worked for us. It is advisable to attempt the questions in different rounds rather than all at one go. To elaborate, as you start attempting the paper you will find some questions easy and some difficult. Here it is important for the aspirant to differentiate between these two types of questions. While the easy questions require utmost accuracy, the difficult ones may need more of logical thinking and guess work which requires more time. Hence, in the first round (R1), we suggest that you attempt all the easy questions with complete precision. Simultaneously, mark R2 in front of the questions which need more time and guess work. After completing the round one (R1), you can go ahead with R2 by going through the questions again. In this round, try to attempt as many questions you can using logical reasoning. But still if you are not able to solve some question, you can leave for round 3 or final round. After the completion of round 2, you will be left with questions about which you will have very less idea. To attempt such questions, the best way is make use of elimination technique wherever applicable. If you are able to eliminate 2 options CLEARLY then there is a 50 pc probability that you will get the correct answer as only 2 options are remaining. Attempting such questions is important and taking risk here is worthwhile. If you are able to eliminate only 1 option, then risk factor is higher and only 33 pc chance that answer may be correct. In this case one should think further and try to eliminate one more option to reach at only two. iii. If you are not able to eliminate any of the four options, then one should not try to attempt as it involves high risk of negative marking. Bubbling is very crucial and one has to be very careful about it. 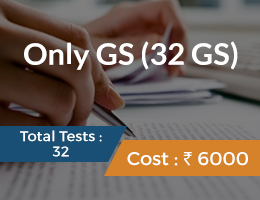 One mistake in OMR will cost an aspirant a minimum of 2.67 marks which can certainly make a huge difference to your selection in the prelims. Therefore, we suggest this bubbling technique which has worked for us and many of our friends. Use apencil to solve(and not pen) the paper and after solving every question, simultaneously circle the outer boundary of the correct option in the OMR sheet with pencil. Here we are avoiding the usage of pen as marking by pen can’t be erased later on if correction has to be done. After 1-1.5 hours of attempting the paper, when you are almost done with R1 and R2 questions, in one go you can color with black pen inside the circles which you have already created by pencil. This will not take more than 5 mins for coloring the complete OMR. Caution: Please do not wait to color the circles of the OMR till the last 15 mins as it may create a lot of panic and lead to serious mistakes. There is no fix answer to this question. One may attempt only 70 questions but with higher accuracy can score 130-140 marks (67 to 69 correct). On the other hand, one may attempt as much as 95 questions and may score 130-140 marks (with about 75 questions right). Thus, clearly accuracy is more important than the number of questions one attempts. 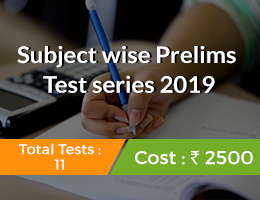 However, of late, the prelims examination pattern is becoming very unpredictable and so one may face lots of surprises which can take a toll on the accuracy. Here, it becomes very important to do logical guess work and use elimination technique to attempt more and more questions. We would like to advise that one should try to attempt atleast 80 questions given the pattern of previous years’ exams. The easier the paper, the more should be the attempt to score higher. Keep track of the time and divide it well between different sections. Don’t’ get stuck at a particular question and don’t make any question an ego issue for you. Remember that every question carries equal marks. Focus first on your strong areas be it Math or English comprehension and attempt it first with utmost accuracy. 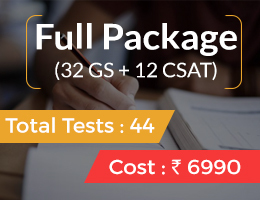 This will ensure that you certainly qualify this exam.More often than not, English comprehensions are the easier part of the paper and carry a lot of marks. So do not ignore them. Use presence of mind and check the weightage every paragraph carries. Some paragraphs have 4 questions and some has one or two. If there is shortage of time, attempt the paragraph with more questions first. 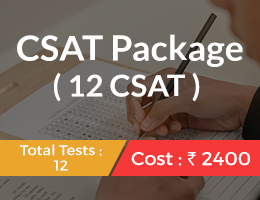 Don’t be overconfident in the CSAT exam even if you feel that CSAT is an easy paper. Be careful and give your hundred percent. Try to find the sections which are easier using R1, R2 and R3 approach as suggested above in this article. You in your heart know the amount of hard work, sacrifice and struggle you have put in for this exam and there is nothing to fear now. To succeed tomorrow, the first and most person you must believe in is yourself. The strongest factor for success is self-esteem; believing you can do it, believing you deserve it and believing you will get it.